Stephanie D. White graduated from Indiana University School of Dentistry in 2006, where she received her Doctor of Dental Surgery. 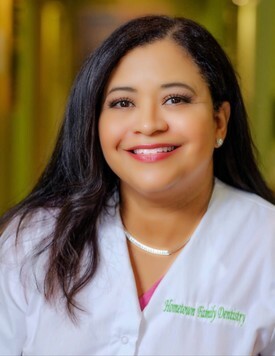 Dr. White has served in the profession of Dentistry for over 25 yrs. Dr. White is a member of the American Dental Association, Indiana Dental Association and Indianapolis District Dental Society. Dr. White has also served as alternate delegate to the IDA house of Delegates. Dr. White is married to Charles N. White ESQ. and has two daughters Faith and Christine.